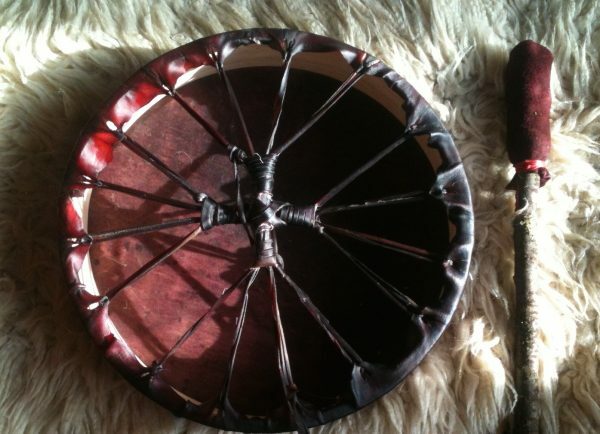 “Red Moon Drums are created for the women who hold the Red Thread. 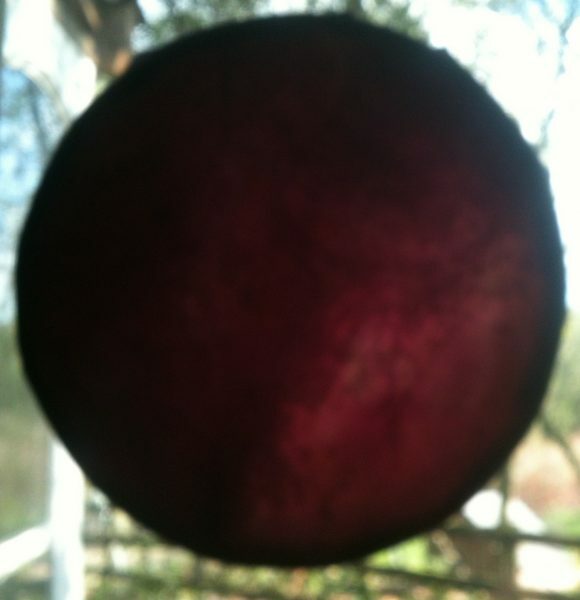 We honour our inner cycles, the blood of life, our menstruation, moon blood, Grandmother Moon and Mother Earth. 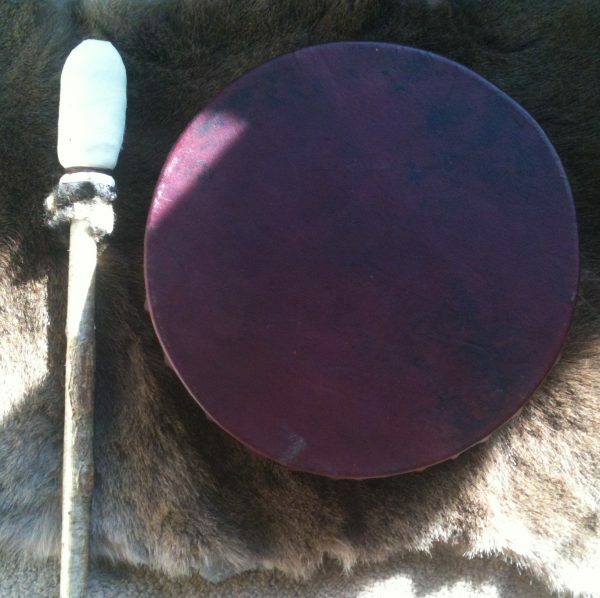 Our Red Moon Drums are awakening drums; we are awakened to our ancestors of the Red Thread, to the youngsters yet to walk this path, to the call of the great Mother Earth- to walk lightly upon her, care for and protect her. The cross bound handle can be seen as the medicine wheel, the wheel of the seasons, the Celtic wheel or perhaps the seasons of a womans life. The Medicine of the 4 quarter points can lift you into a different rhythm, time and place! 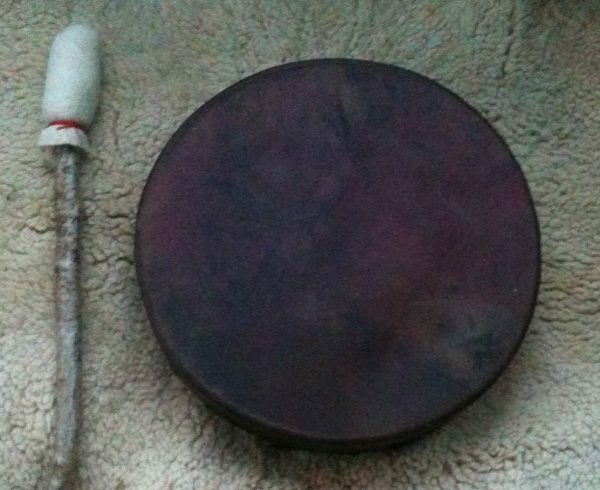 As we play our Red Moon Drums we feel the songs of the ancient ones being awakened within us, deep memories stirring, the heartbeat of the land pulses though the drum and our veins. 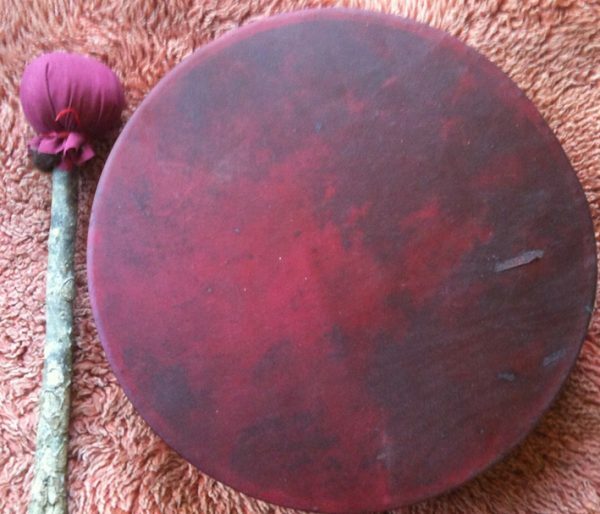 The Red Moon Drum awakens us to remember to listen to the voices of the ancient ones, the witches, healers and midwives, all the ancient ones of this land….and our own body wisdom. 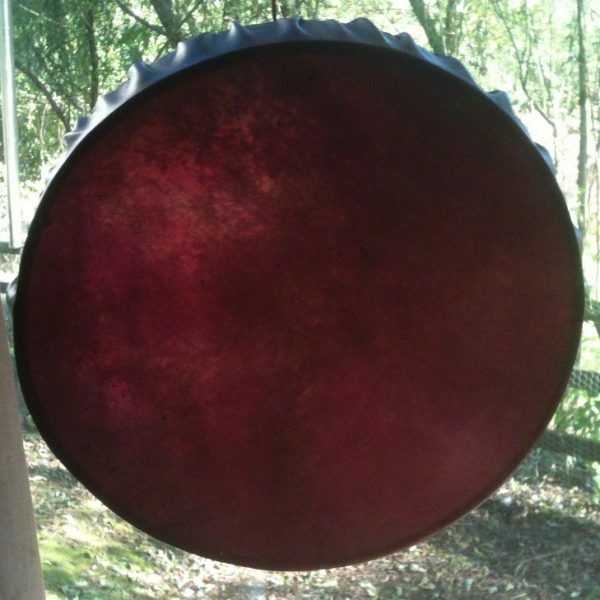 Through our Red Moon Drums we are made one with with the whole of womb-kind. £225 includes all materials and a seasonal vegan, gluten free lunch. Spend a day in beautiful and magical West Wales, on the Carmarthenshire and Pembrokeshire border, in the comfort of the red tent yurt… Come and enjoy a red tent experience, whilst immersing yourself in the birthing of your medicine drum, tuning in with the natural materials, giving thanks and prayers as you use your hands, putting your love, energy and intent into this moon time medicine tool to create a truly special drum for yourself! The day will begin with a journey to connect with the energy of the deer, we will make the drums with intent and see how the menstrual medicine wheel is mirrored in the drum. We will close with a ceremony to connect our drums to our wombspace. 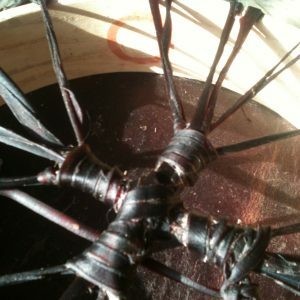 Using natural and traditionally prepared, naturally dyed* deer hides and timbers you with birth a sacred drum. Hoops are crafted from Ash, the world tree. Beaters are made from locally coppiced wood, stuffed with raw sheeps wool. Hides come from within the United Kingdom and are either from culled wild deer/stags or animals that have naturally died. The hide is a waste product so by using it we are honouring the animal. As a life long vegetarian I’ve wrestled with the ethics for a long time, in the end my calling to make drums and bring women to the heartbeat of our Mother was too strong! 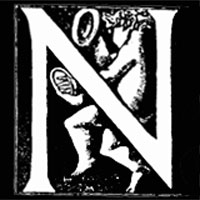 I source them as ethically as possible, supporting local crafts people. *As with natural dying techniques, colours can vary. All teaching, tools and materials are provided. 50% of the cost of the workshop will be required when you book. 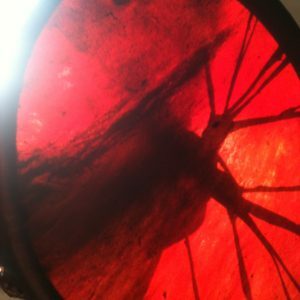 Do you have a group that would like to birth drums with me? I can arrange a drum day for you and your friends, contact me to discuss. 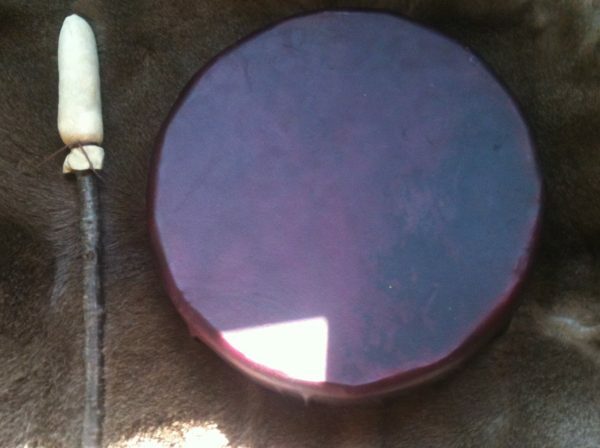 See my Etsy Shop for my drums for sale or contact me for a customised drum.